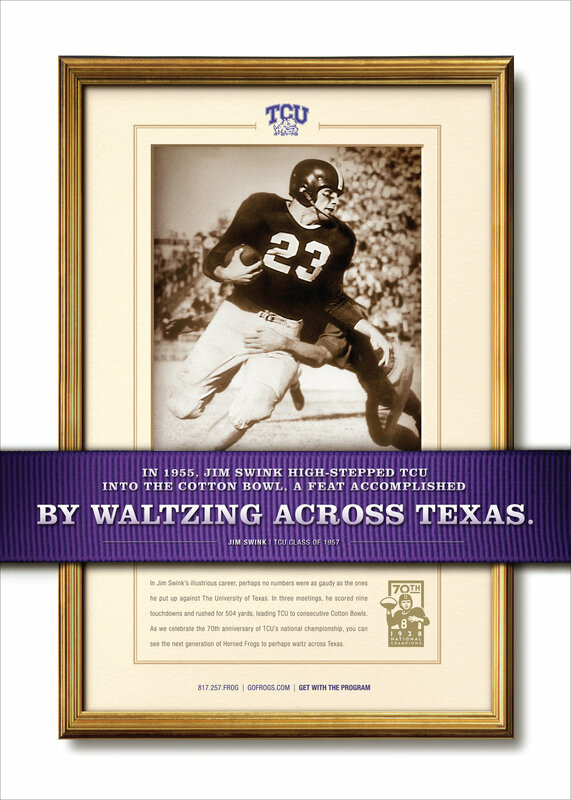 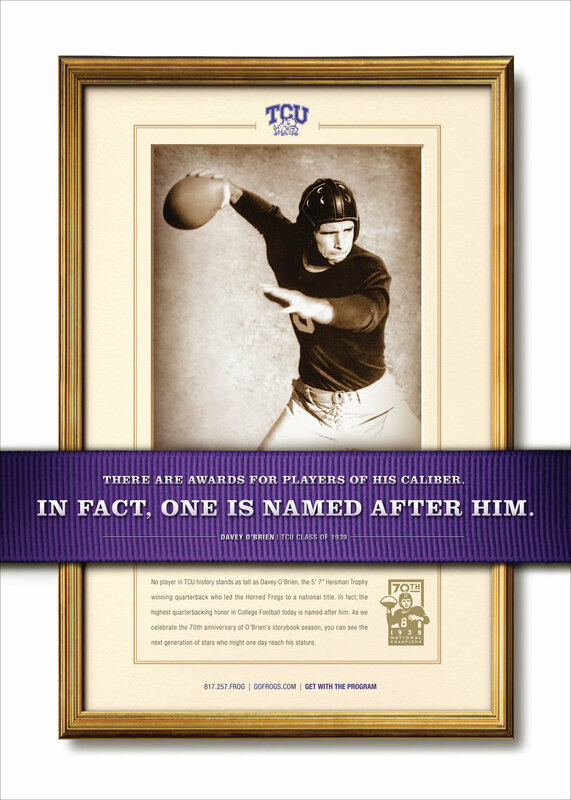 PytchBlack has created many memorable campaigns for the TCU Horned Frog Football Team from the Big 12 Conference and continues to work with TCU. 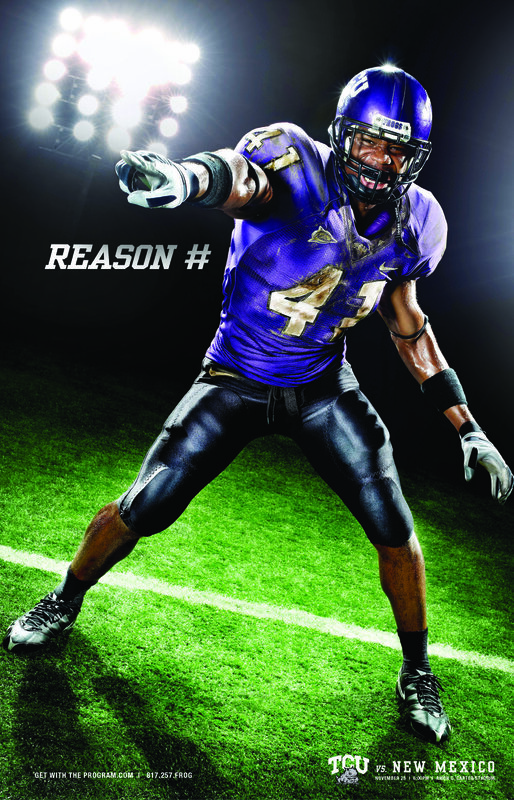 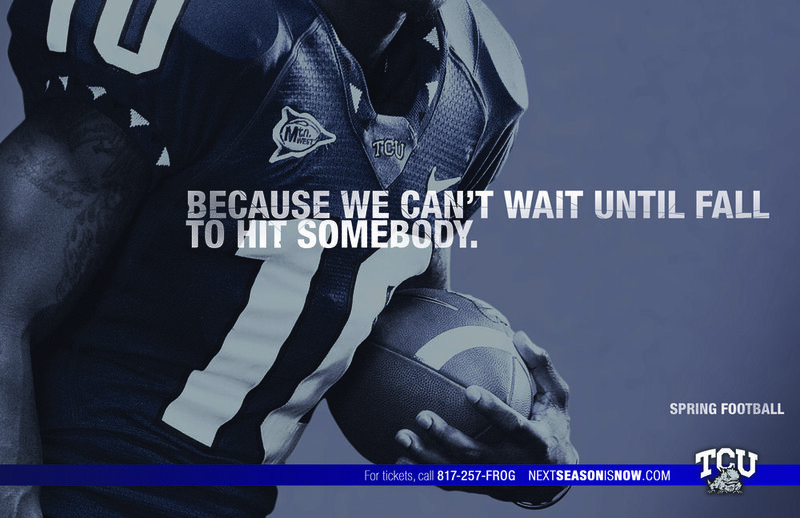 Get With the Program Campaign - Featuring Cincinnati Bengal Quarterback Andy Dalton. 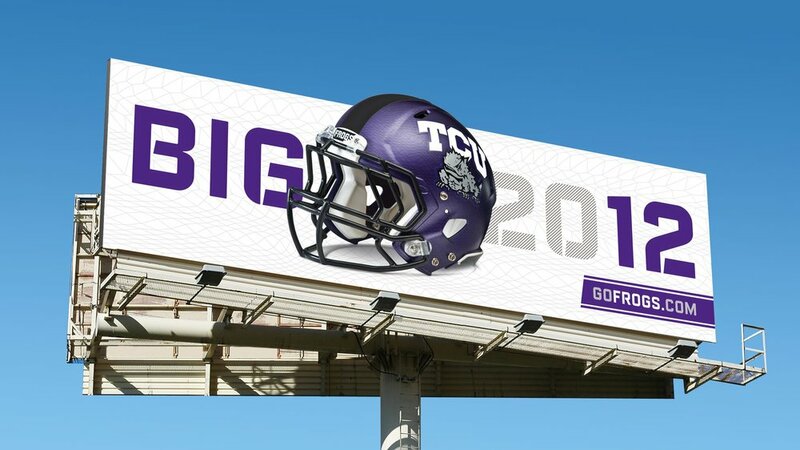 The Big 2012 Campaign supported the Introduction of the $185M renovation to Amon G. Carter Stadium and TCU's introduction to the Big 12 Conference.